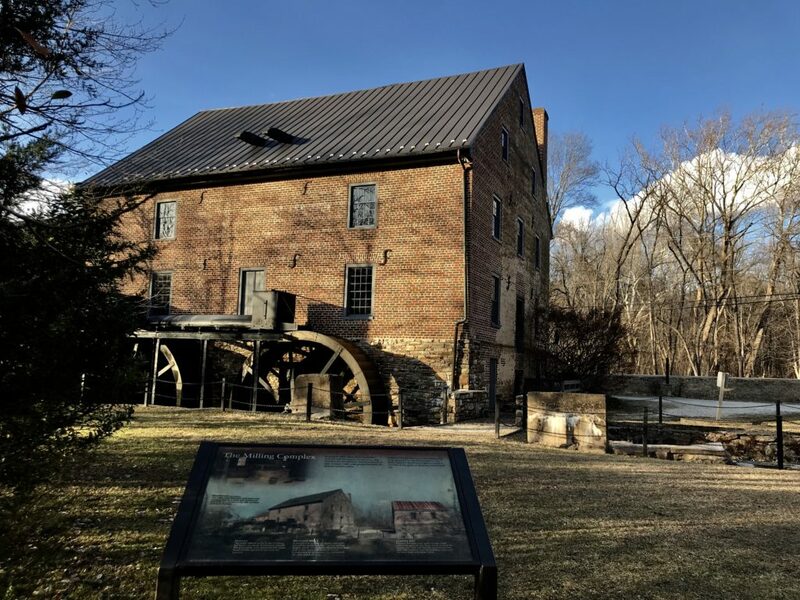 For the eleventh consecutive year, Preservation Virginia presents a list of Virginia’s Most Endangered Historic Places to raise awareness of places that face imminent or sustained threats to their integrity, or in some cases, their very survival. This listing is intended to bring attention to the threats described and to encourage individuals and organizations to continue to advocate for and come to reasonable solutions about the protection and preservation of Virginia’s irreplaceable historic resources. Preservation Virginia believes that each historic place listed has potential to strengthen local communities by pursuing historic tax credits, creating jobs, preserving local characteristics and attracting new residents. Significance: Sweet Briar College was founded near Lynchburg in 1901 as a women’s college by Indiana Fletcher Williams in memory of her only daughter, Daisy. The original 3,300-acre campus, including buildings designed by Ralph Adams Cram, is still intact. The Sweet Briar College Historic District is comprised of twenty‐one of the campus’ oldest buildings listed on the Virginia Landmarks Register and the National Register of Historic Places. The Italianate Sweet Briar House, transformed by Elijah Fletcher in 1851‐52, is also listed. Other resources include a slave cemetery and dwellings, scenic viewsheds, conservation areas and old growth forests. Threat: In March 2015, the Board of Sweet Briar College announced that it would close at the end of August 2015. The sale of the campus is rumored. Currently, none of the historic and natural resources are covered by easements that would protect them from inappropriate future development. While the college has cared for these resources over the course of the 20th century, the possibility of a sale presents them with an uncertain future. Solution: In order to demonstrate leadership and active stewardship of the outstanding built and natural environments that comprise the campus and landholdings of Sweet Briar College, historic preservation and conservation easements should be put in place prior to any potential sale or change of use. Significance: Located in rural Smyth County, the Thomas House is a well‐known regional landmark listed on the Virginia Landmarks Register and the National Register of Historic Places. Abijah Thomas (b. 1814) designed and built the brick house with slave labor between 1856 and 1858 amidst expanding his interests in land, crops, machinery and labor. It is unconventional in plan, even by octagonal house standards and known for other aspects including handmade brick stretcher bond exterior walls and a variety of interior decorative elements including faux-grained and marbled wooden trim, faux masonry plaster walls and hand‐painted floral motifs. Threat: The Octagon House Foundation was founded with the purchase of the site in 2014 and has few resources at hand. Previous attempts to preserve the site date back nearly 50 years, therefore it is of paramount importance to the organization that public awareness and financial investment are raised in a timely manner. Solution: Building on support from the Smyth County Historical Society and a resolution from the Smyth County Board of Supervisors, the listing is intended to raise awareness locally and regionally to help garner further support to renovate this rurally‐located site that is brimming with educational and heritage tourism potential. Significance: Built around 1840 and used as the Warm Springs Hotel manager’s residence, the Gibson Cottage is one of the last remaining original buildings from the hotel’s important mid‐19th century expansion that transformed the county seat of Bath Court House into a welcoming stop on the Virginia springs summer circuit. The cottage survived the razing of the hotel in 1925 and served as a residence for the next sixty‐seven years. Threat: The current owner, Natural Retreats, purchased it in 2013 and has expressed interest in renovating it. The structure is currently open to the elements and deteriorating and is now listed for possible demolition by the County in 2015. Bath County residents have expressed concern about its possible loss. Solution: Natural Retreats has stated its intent to save the Cottage. We urge that the owner take action now to protect the site from further deterioration or transfer ownership to another entity that will utilize the building. The cottage, if saved and restored, could play an integral role in telling the history of the Warm Springs Pools. Significance: Jamestown Road is a historic and scenic route into Williamsburg, linking Duke of Gloucester Street with both Jamestown and historic Route 5. It and Richmond Road divide at the west end of Duke of Gloucester Street, as planned by Francis Nicholson in 1699 and delineated on the Frenchman’s Map of 1782. The Jamestown Road houses were built in the early 20th century, before the restoration of Colonial Williamsburg. The neighborhood is illustrative of Williamsburg’s continued life between the Revolution and the world‐famous restoration of the 18th‐century town. It provides a sense of scale and character between the large institutional buildings on campus and the smaller‐scaled neighborhoods it adjoins. Threat: Owned by the Commonwealth (the College of William and Mary), the houses are not subject to City of Williamsburg zoning or architectural review regulations. The threat is imminent; of the twelve houses, two have already been demolished. Another nine or ten are proposed for demolition in the College Master Plan, as approved by the College’s Board of Visitors in February 2015. Solution: The College is encouraged to continue its long history of working with the City. Though not legally obligated to do so, we urge the College to consider local guidelines and to utilize the existing structures in any number of ways, including maintaining them as offices or as residences. State and national historic register designations would also help underscore the significance of the individual buildings and streetscape. Significance: Port Royal, chartered in 1744, is a small town on the Rappahannock River in Caroline County. First inhabited by the Algonquian, it was established primarily as a port for the exportation of tobacco. Port Royal retains over thirty‐five 18th and early 19th century structures, which reflect the critical role it played in the American Revolution and the Civil War. After assassinating President Lincoln, John Wilkes Booth visited the Brockenbrough‐Peyton House and was later shot and killed south of town at the Garrett Farm. Threat: As another example of one of Virginia’s “bypassed towns,” Port Royal has become increasingly isolated as a result of changing transportation patterns. Several of the oldest structures are currently unoccupied and in need of stabilization, especially the 1854 Lyceum and Town Hall building. Deterioration will continue if a solution is not found. Solution: Port Royal is creating a strong foundation for heritage tourism. Historic Port Royal, Inc. is actively involved in repair projects including the Colonial Doctor’s Office. 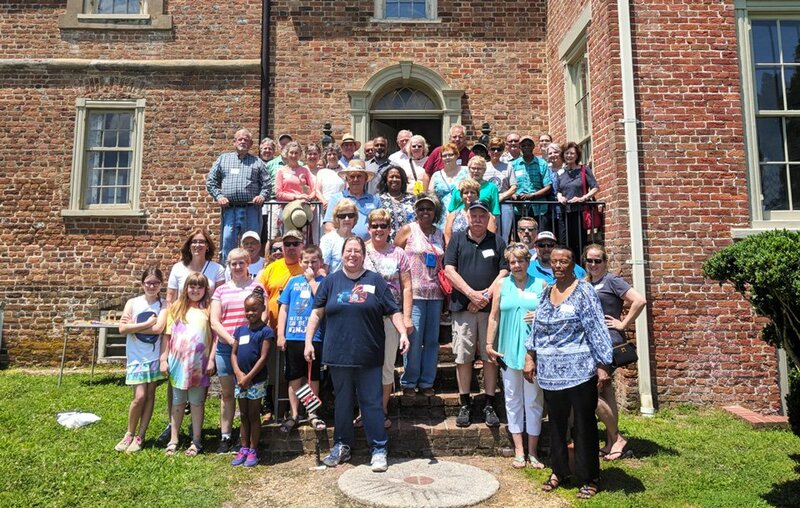 Port Royal is committed to revitalizing their town and currently enjoys three museums (with a fourth on the way), self‐guided walking tours with established historical markers, a restored Rosenwald School and the rebuilt historic pier. We encourage the Town and Caroline County to provide greater visibility with additional directional signage and other incentives that could help promote Port Royal as an enticing place to visit and live. Significance: The Taylor‐Whittle House is the focal point of the last early neighborhood remaining in the City of Norfolk. Located in the West Freemason Historic and Cultural Conservation District, which encompasses 48 contributing buildings in a primarily residential section, the house survives almost unaltered exteriorly, but for two additions. Threat: The Norfolk Historical Foundation relinquished possession of the Taylor‐Whittle House in 1972 and the City of Norfolk currently maintains it. It served as the offices of the Norfolk Historical Society and the Junior League of Norfolk‐Virginia Beach until 2011, when it was deemed unsafe for occupancy. A comprehensive restoration plan, produced for the City of Norfolk in 2012, has been revised in a new report yet to be released. From these, a course of action for stabilization still needs to be devised. Solution: The City of Norfolk, Norfolk Historical Society and the Junior League of Norfolk‐Virginia Beach are encouraged to devise a pro forma financial plan to demonstrate the future sustainability of the site. The first priority is to stabilize and make the building safe for occupancy. The use of historic preservation tax credits should be explored to help offset some of the cost of this work. With this leadership and exploration of public-private partnerships, the goal to re‐occupy the building could be realized. Significance: An integral part of many historic downtowns, Virginia’s historic courthouses and courthouse squares have served as community centers for centuries. Not only do these structures represent the judicial system and the important cases along with the individuals throughout our nation’s history, courthouses were often the place for important announcements, auctions, marketplaces, weddings and even duels. Threat: As courts continue to require increased space and security, preservation debates surrounding Virginia’s historic courthouses will continue. Approaches to preserve these structures have varied across the Commonwealth. Some communities have found innovative ways to preserve historical integrity while also integrating necessary upgrades. Others have built additions that overwhelm the historic complexes. Others still have completely relocated courthouse functions, jeopardizing the sustainability of the original complex and downtown location. For example, the Augusta County Courthouse (1901) is threatened with abandonment by the County government. Augusta County wishes to build a new court system away from the traditional city center of downtown Staunton, which will remove employees and potentially other related businesses, weakening Staunton’s successful downtown economy. In Northampton County, a lack of funding and the threat of demolition by neglect of the two historic jails (1899 and 1914) may undermine the value of the historic courthouse square. Solution: Preserving historic courthouses and accommodating modern court needs requires a strategic balancing act. The integrity of historic courthouses and courthouse squares can be maintained to help support downtown economies. We recommend a comprehensive survey of historic courthouses. This will help identify model approaches that are transparent and include public input to ensure that the community’s values and economic impact are reflected. For the Augusta County Courthouse, City and County governments are negotiating an agreement of mutual support. In Northampton County, the earlier re-use of the 1731 courthouse is a model for how the retention of courthouse-related structures maintains the thread of history in a community. We encourage both approaches. More details are provided on our website. Preservation Virginia, a private, non-profit organization and statewide historic preservation leader founded in 1889, is dedicated to perpetuating and revitalizing Virginia’s cultural, architectural and historic heritage, thereby ensuring that historic places are integral parts of the lives of present and future generations. Learn more at www.preservationvirginia.org or call 804-648-1889.